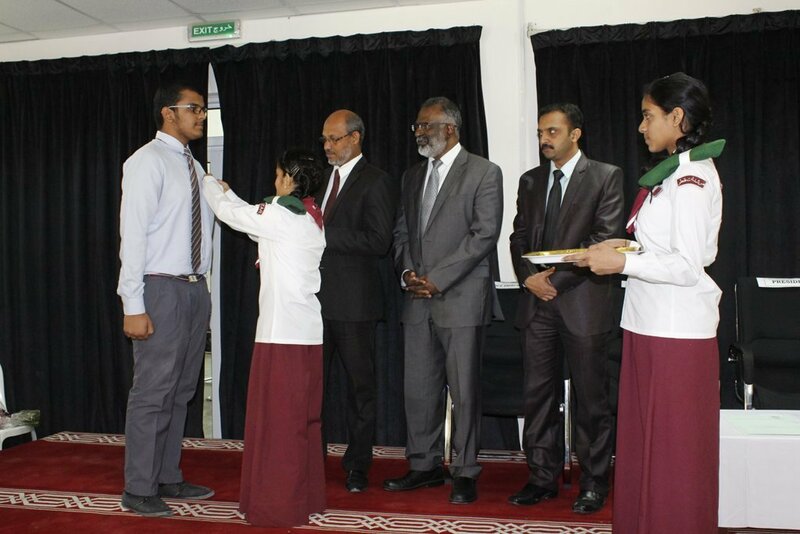 It was an exciting moment for the Students, appointed members of the Student Council for 2015-2016 at Shantiniketan Indian School. 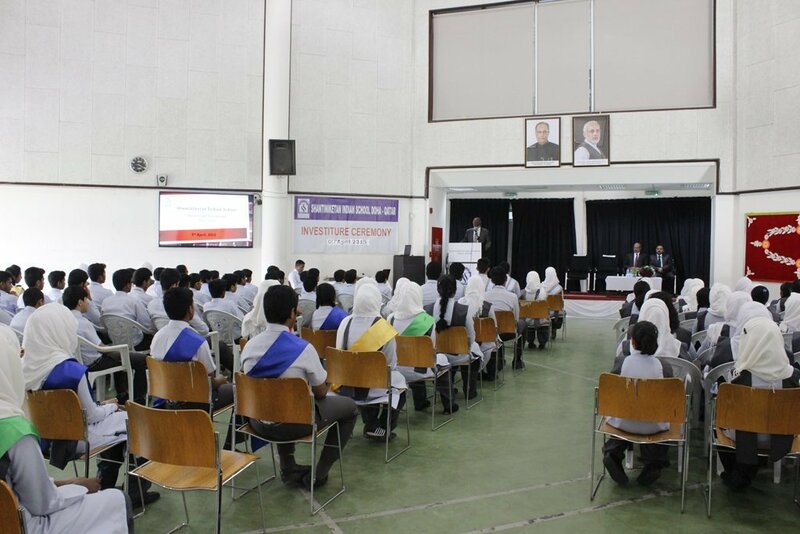 They were assigned responsibilities and roles to display their leadership skill and sharpen their skills that would make them better leaders in the roles they would step into in their professional life. 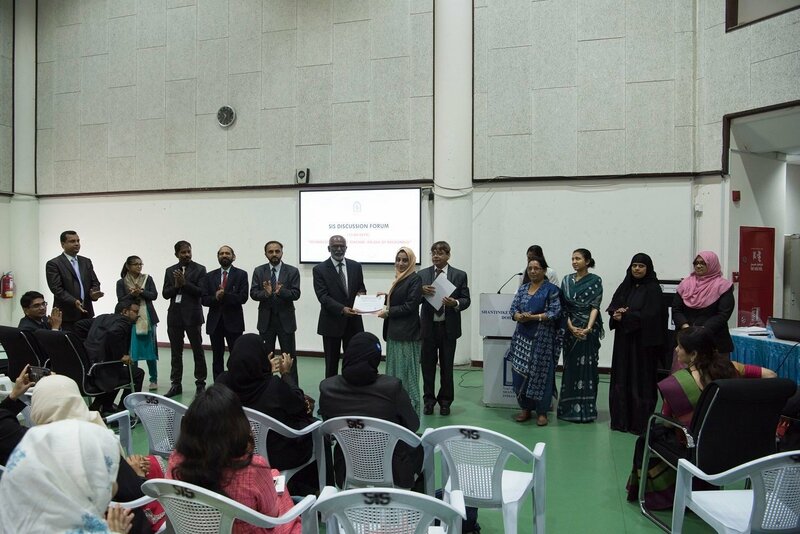 The morning was made eclectic when the proud parents who had gathered to witness the Investiture ceremony. 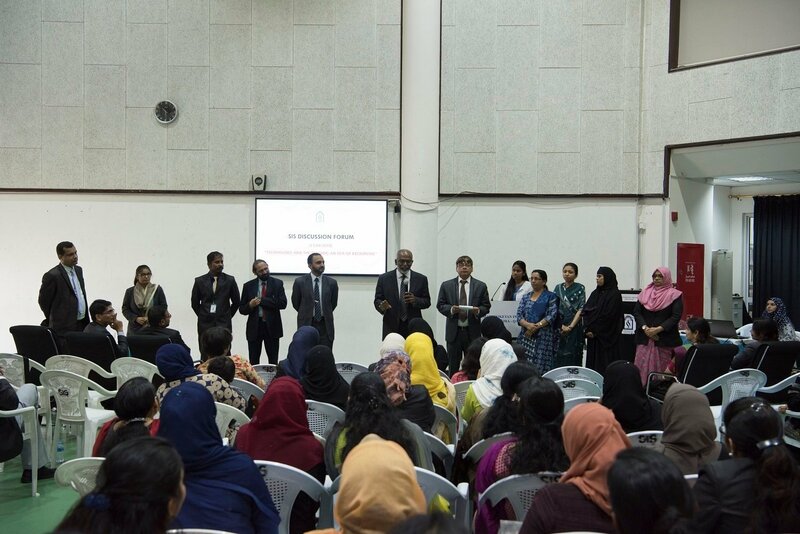 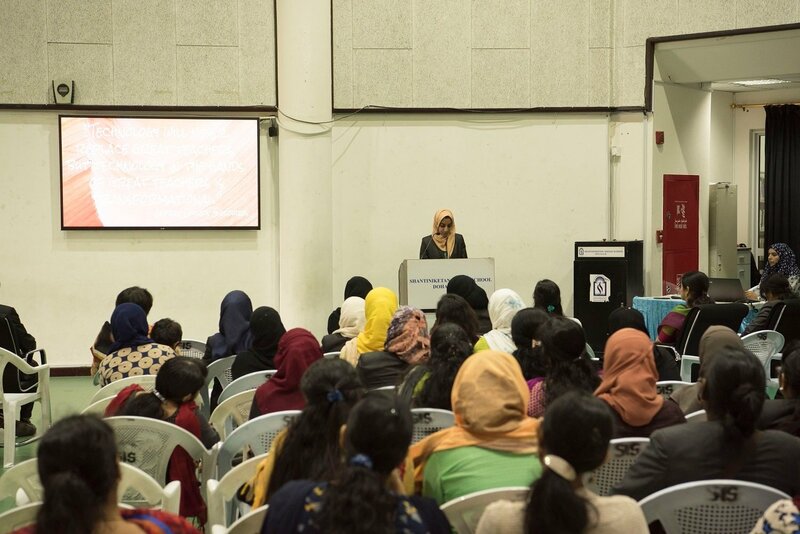 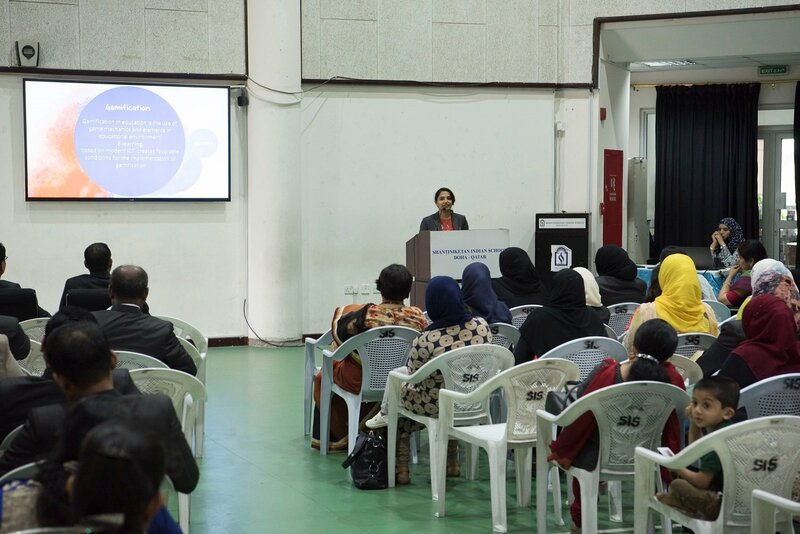 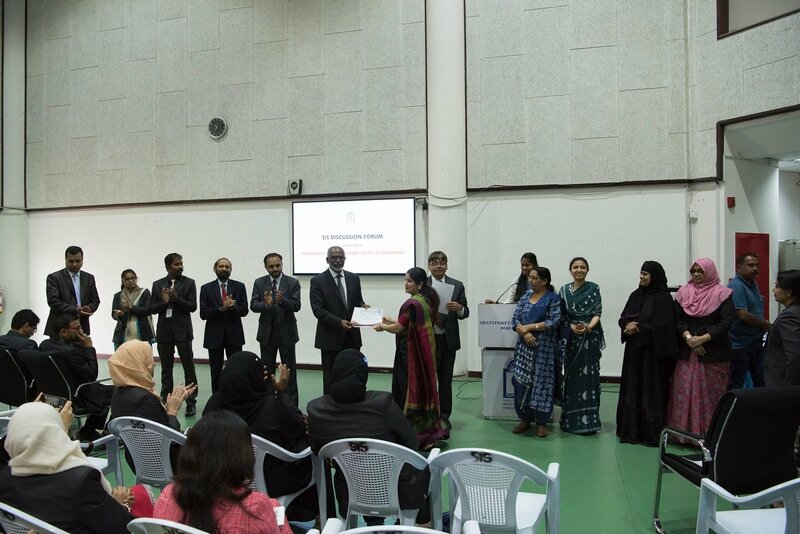 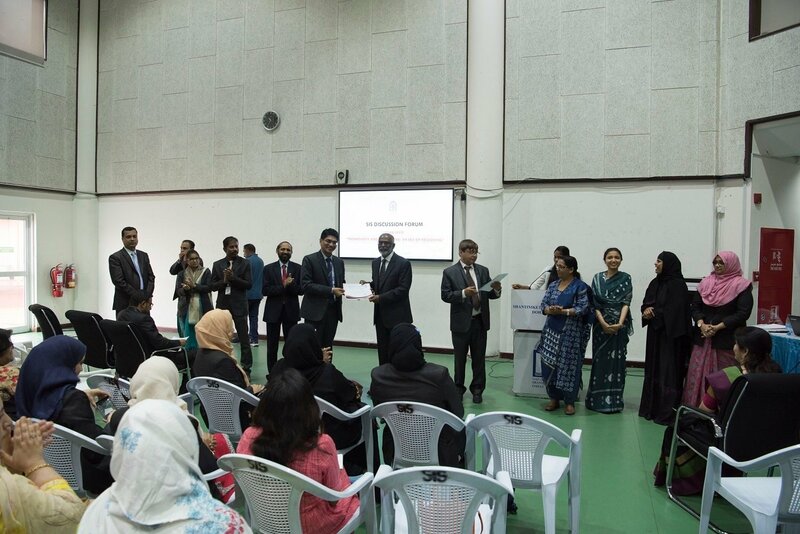 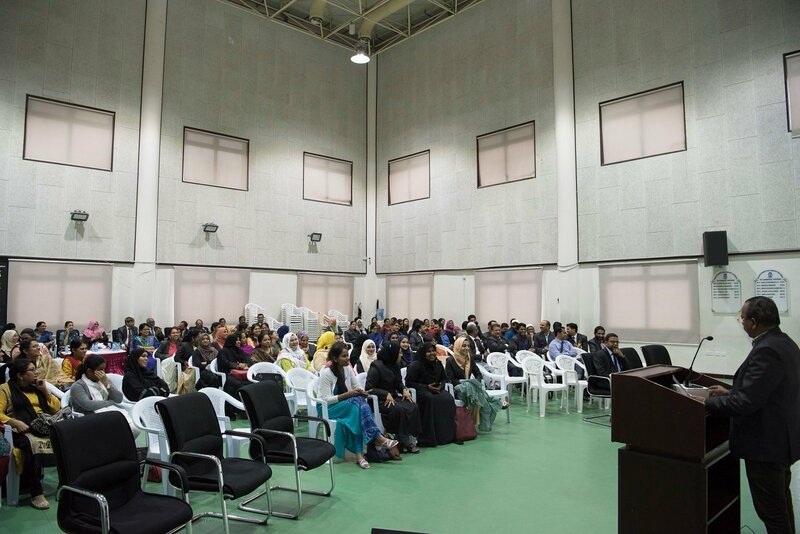 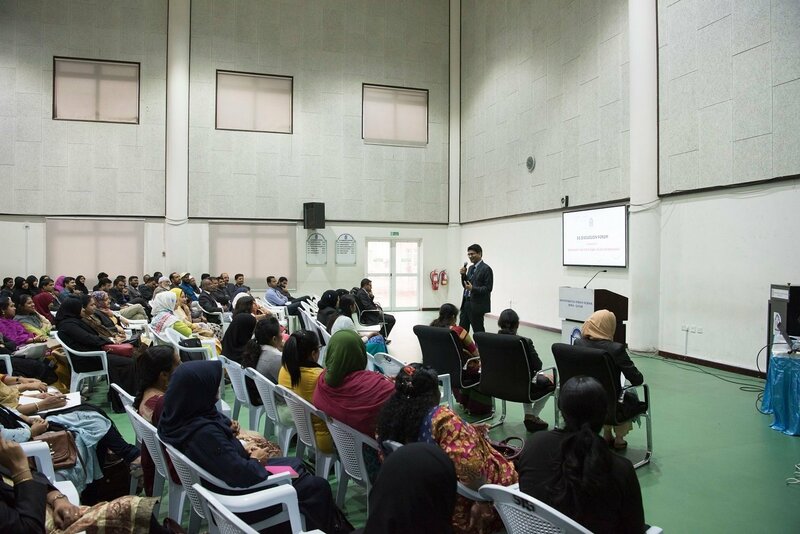 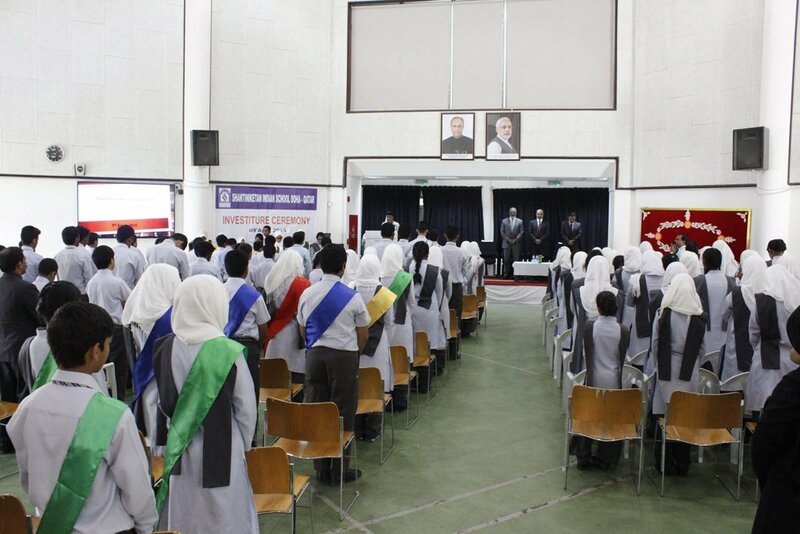 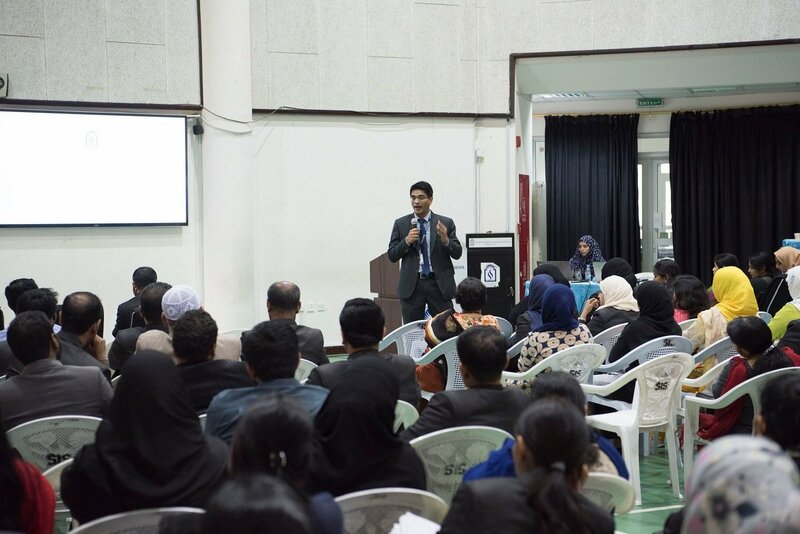 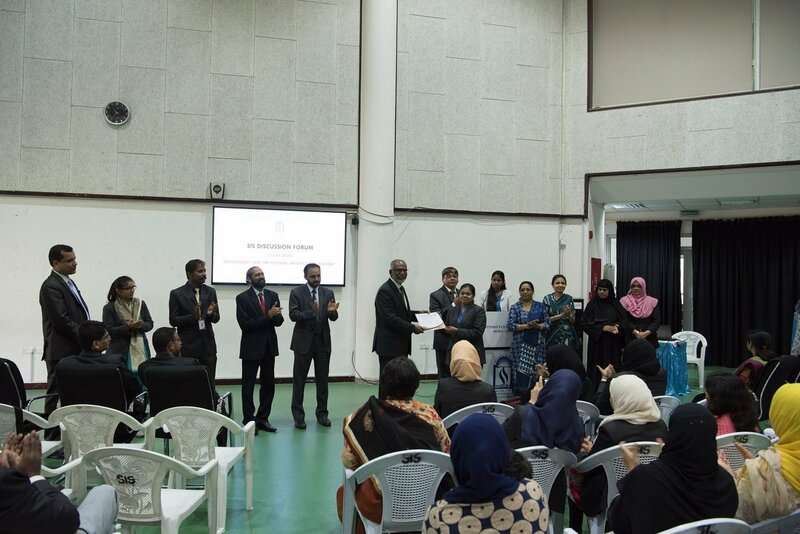 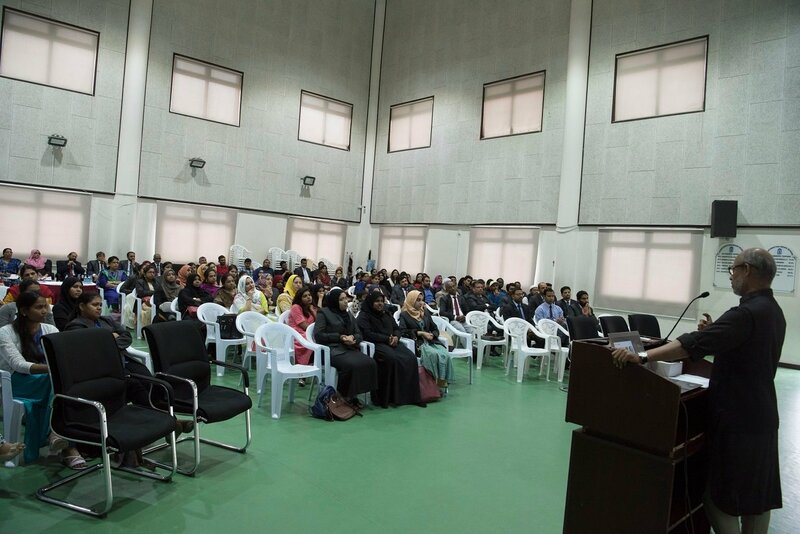 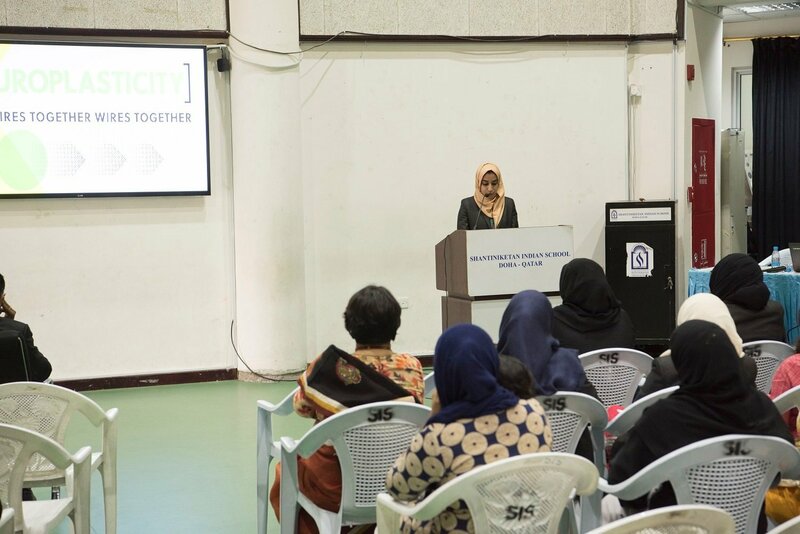 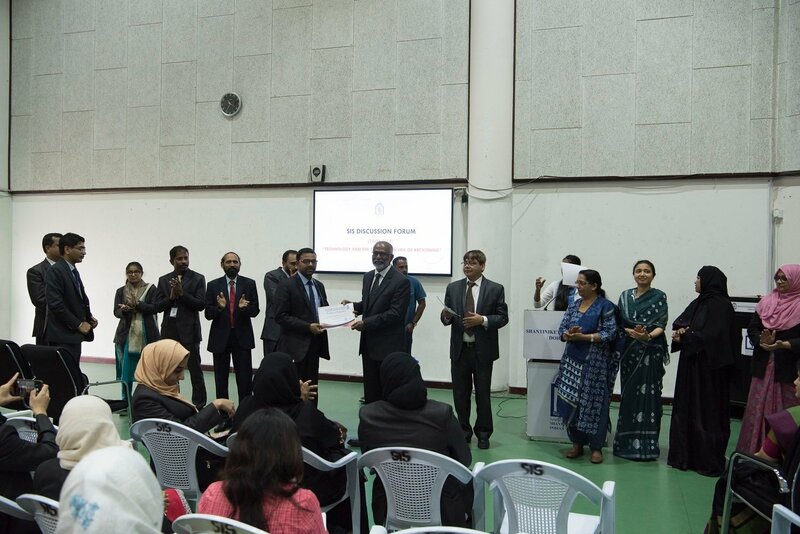 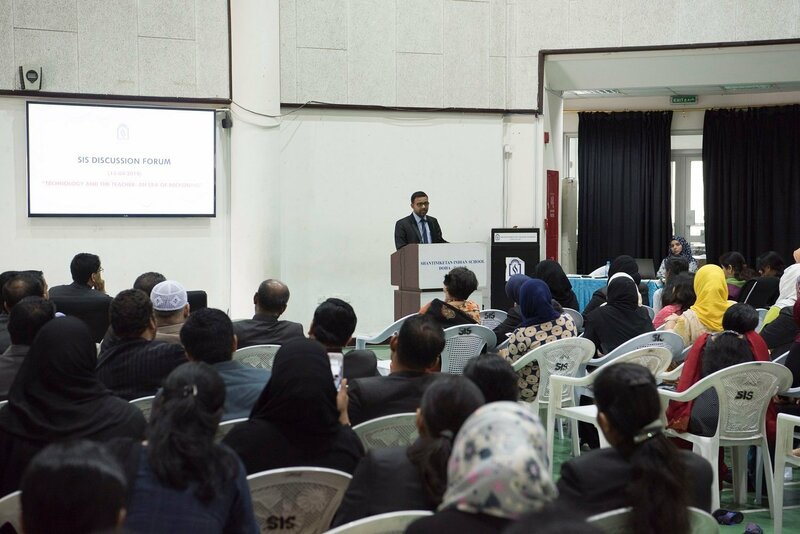 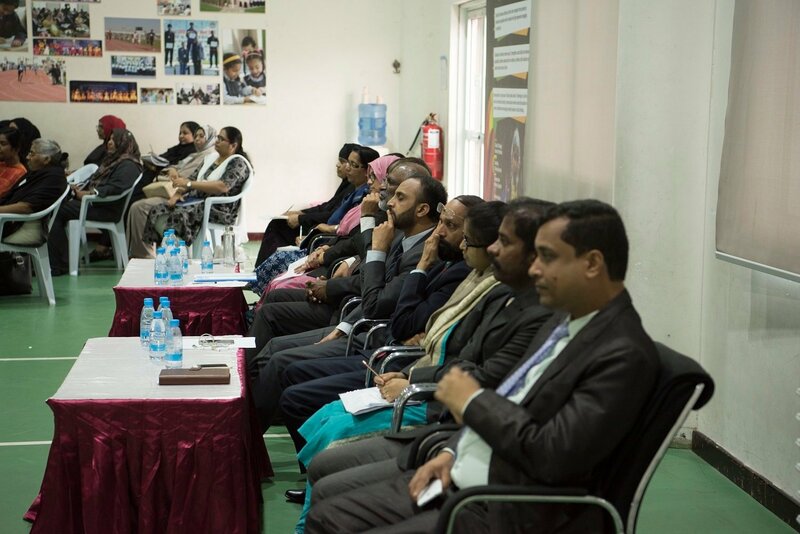 The programme started with the Principal accompanying the Guest-in-Chief, Mr. K. C. Abdul Lateef and the Vice Principal, Mr. Shihabudeen walking into the Activity Hall. 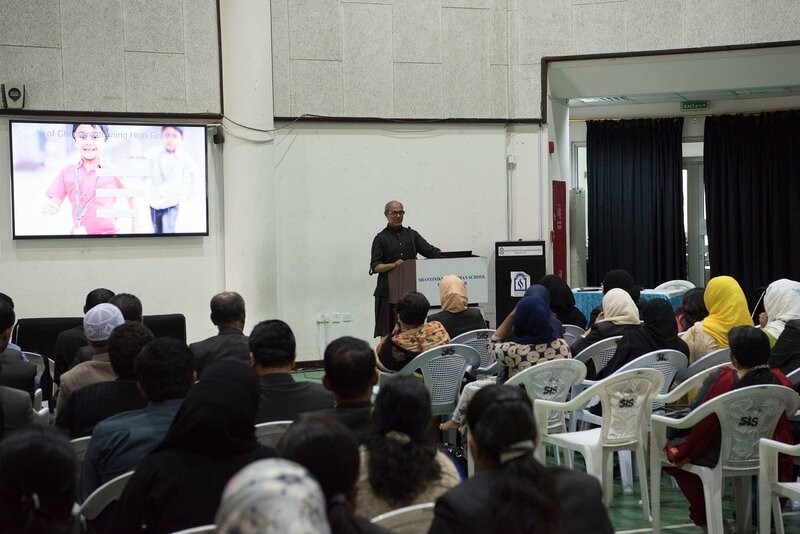 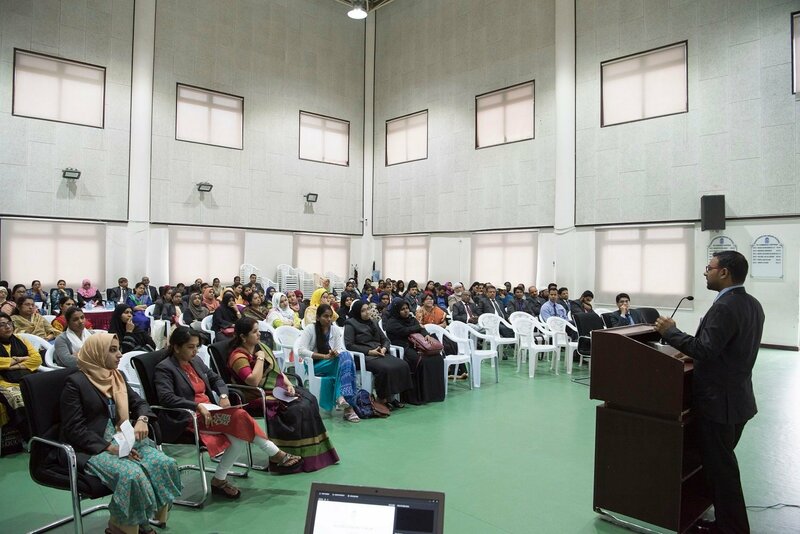 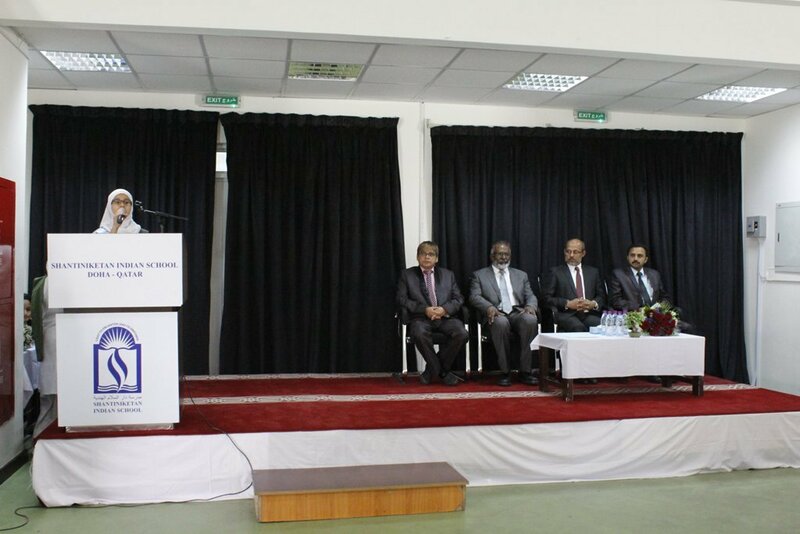 In his welcome speech, Dr. Subhash Nair addressed the newly appointed leaders and flag bearers of SIS and expressed high expectations from this newly appointed team. 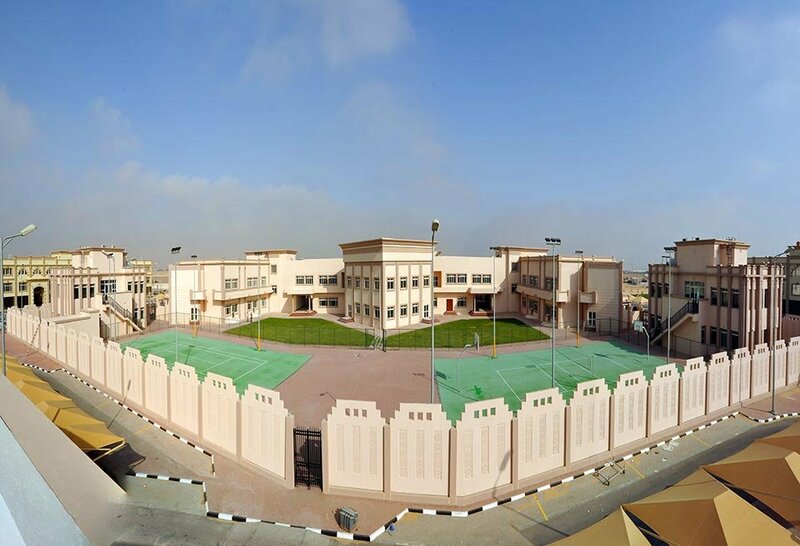 He expressed his optimism on the team to take the school to a new height through their diligence, commitment and sincerity. 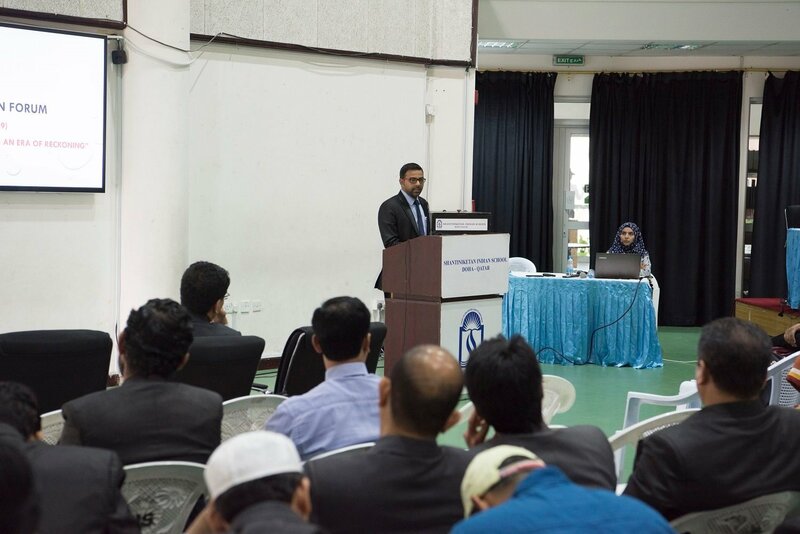 The Guest-in-Chief, Mr. K.C. 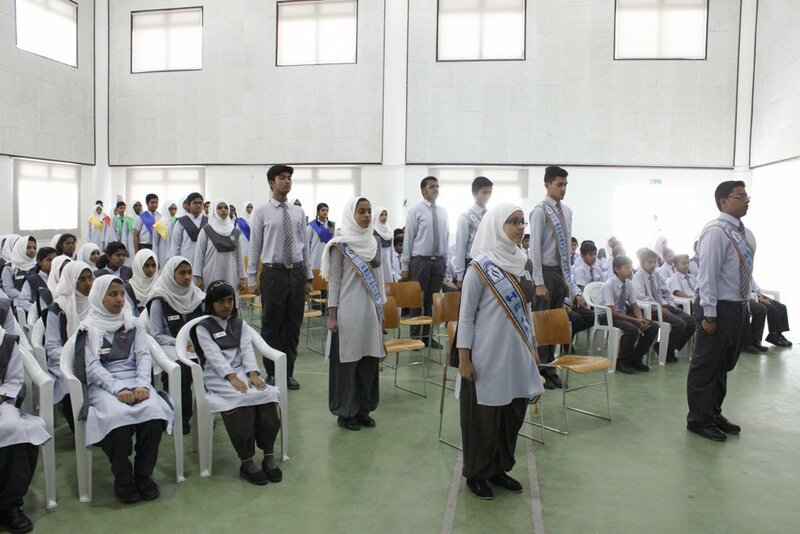 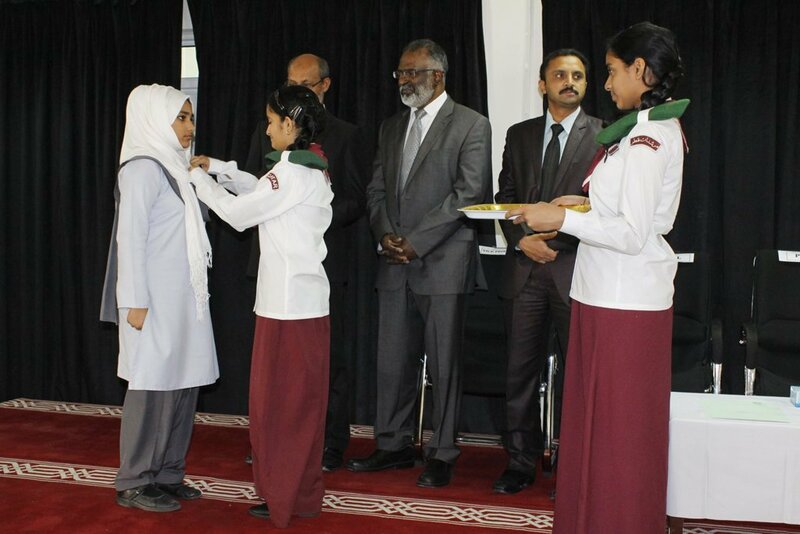 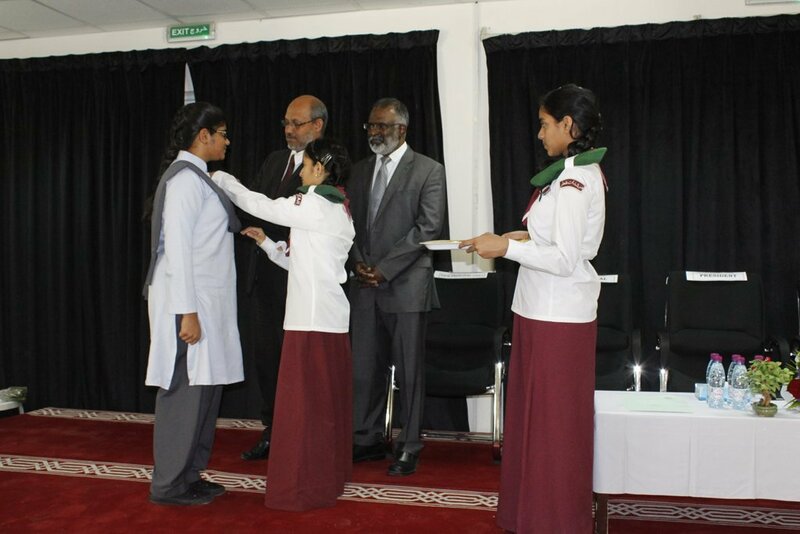 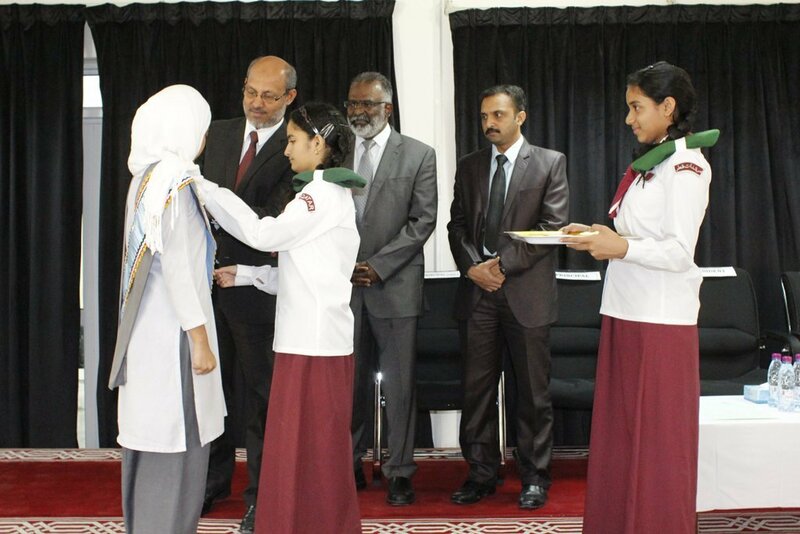 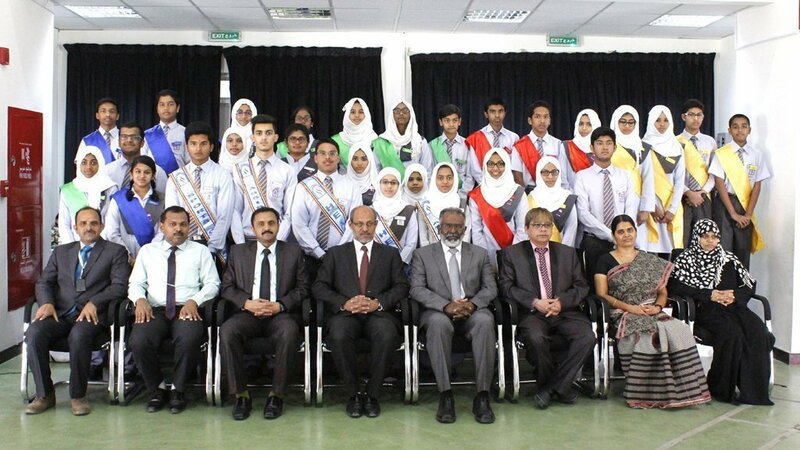 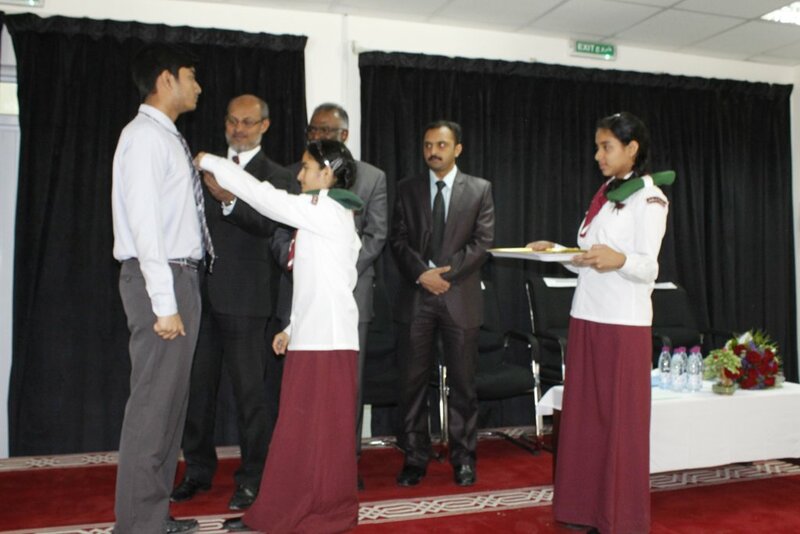 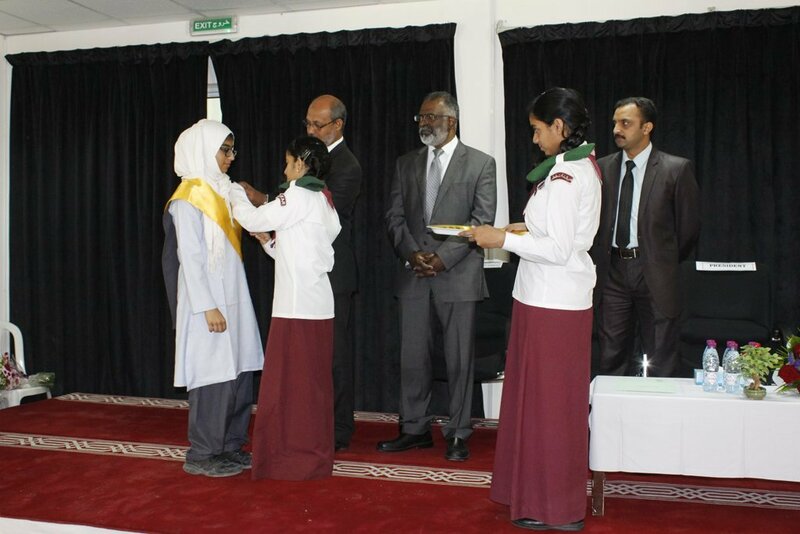 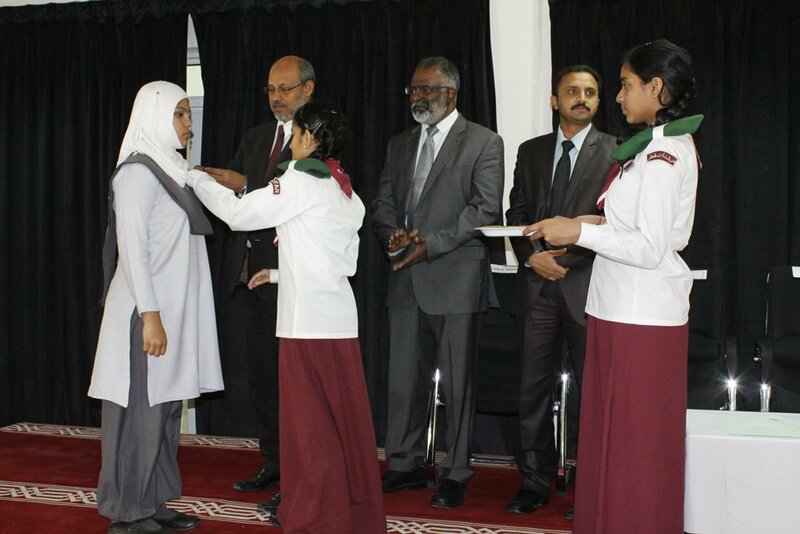 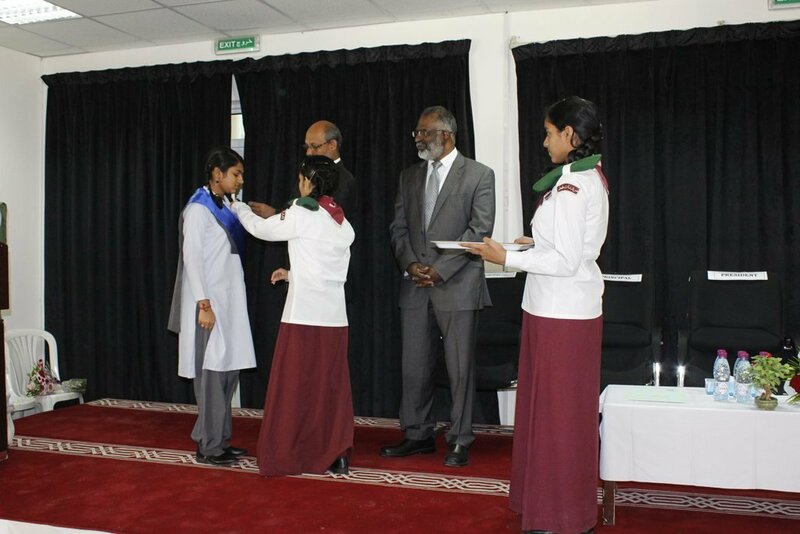 Abdul Lateef, the revered President of SIS and a great leader in himself, invested Badges on the Head Boy – Naveen Kelvin; Head Girl – Salwa Jalaludeen; IT secretary – Sameer; Cultural Secretary – Syeda Sainab; Literary Secretary – Shabnam Shireen; Sports Captain – Fayis Mustafa; Assistant Head Boy – Adnan and Assistant Head Girl – Rizwana Abdul. 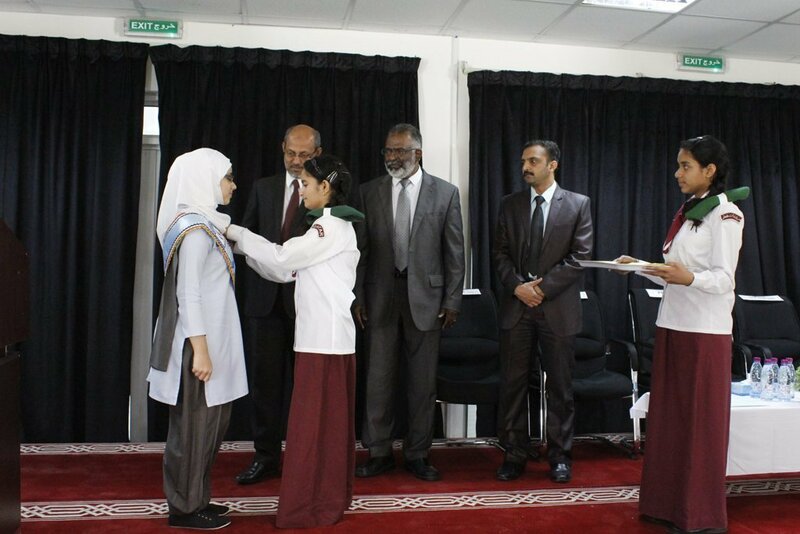 The badges were also awarded to the House Captains and House Prefects. 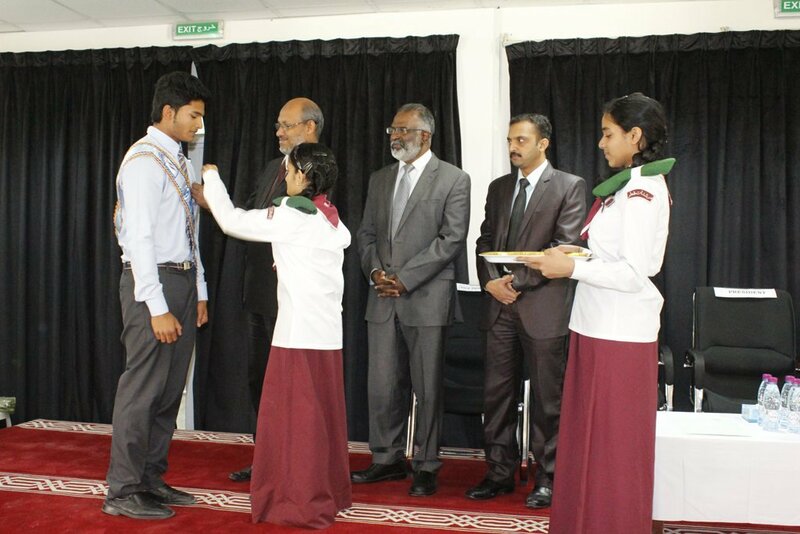 The Head Boy, Naveen Kelvin conducted the Oath Taking ceremony after the badges being conferred upon them. 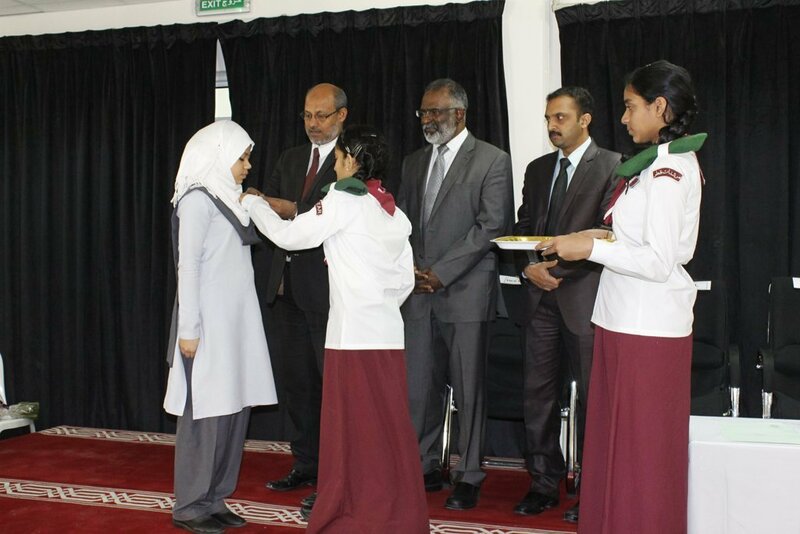 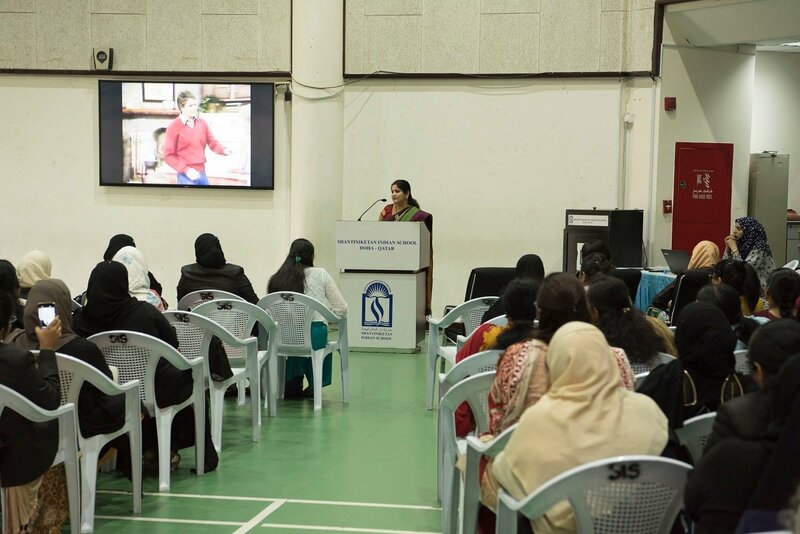 Head Girl, Salwa Jalal presented the vote of thanks towards the end.